Apartment "Sonnenschein": 80 m², 2 bedrooms with box spring beds, for up to 4 persons, both bedrooms are equipped with TV, a nice bathroom, a kitchen and a large living room (45 m²) with a roof up to the ceiling. Stay in our beautiful manor house. Here are two in 2015 and 2016 highly renovated apartments available. 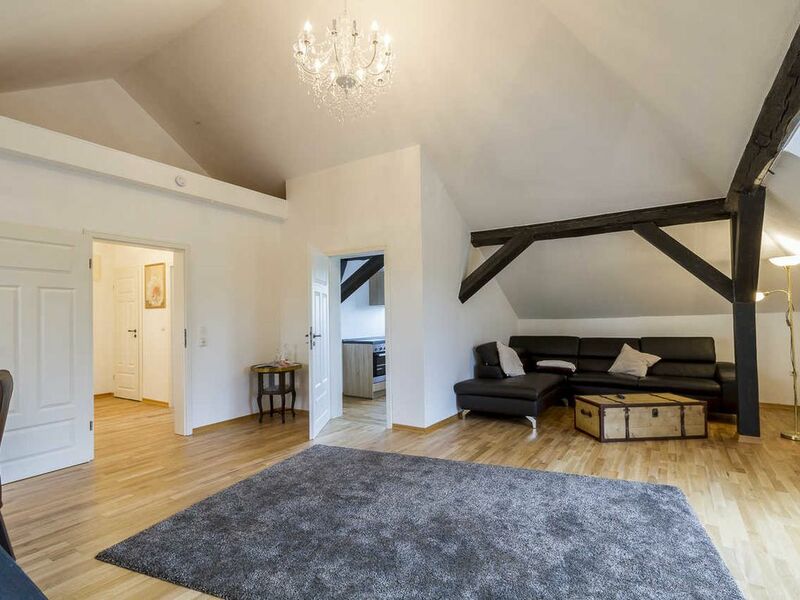 Apartment "Hofblick": 120 m², 3 bedrooms, for up to 6 people, all equipped with TV, a nice bathroom, a spacious kitchen with integrated living room. Apartment "Sonnenschein": 80 m², 2 bedrooms, for up to 4 persons, bedrooms are equipped with TV, a nice bathroom, a kitchen and a large living room (about 45 m²) with a ceiling that is open up to the roof. You have the opportunity to enjoy the tranquility and nature around the Gutshof am See. If you do not want to cook yourself, our Gutshof restaurant is at your disposal on the ground floor. Here you can be pampered from breakfast to dinner. After breakfast, you can play tennis, football or basketball. And then off to swim in our beautiful lake. Or you simply do not do anything and you relax on the estate, while taking a break or on our beautiful lake.